Ready to Make Music, New York? Take your music to the streets on June 21. Music haters should probably plan to be out of town on Sunday, June 21, because New York will be very noisy indeed: On the first day of summer, music-makers of every conceivable stripe will take to the streets to play free concerts as part of the 3rd Annual Make Music New York Festival. 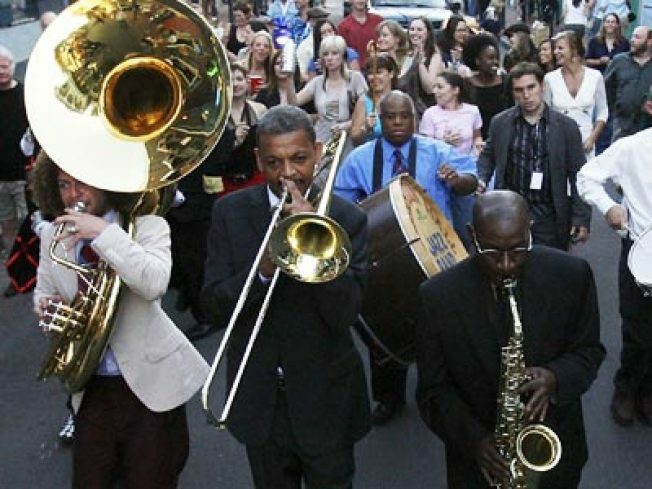 (Last year, the city hosted 875 free performances by 3,200 musicians.) Even better, the very same thing will be happening in 327 cities all over the world that day, from Algiers to Calcutta to Kuala Lumpur to Kalamazoo. If you've got a song to sing, can to bang or other musical talent to share with the city, register to participate by this Friday, April 24 by going to the event website (in partnership with Time Out New York) here.